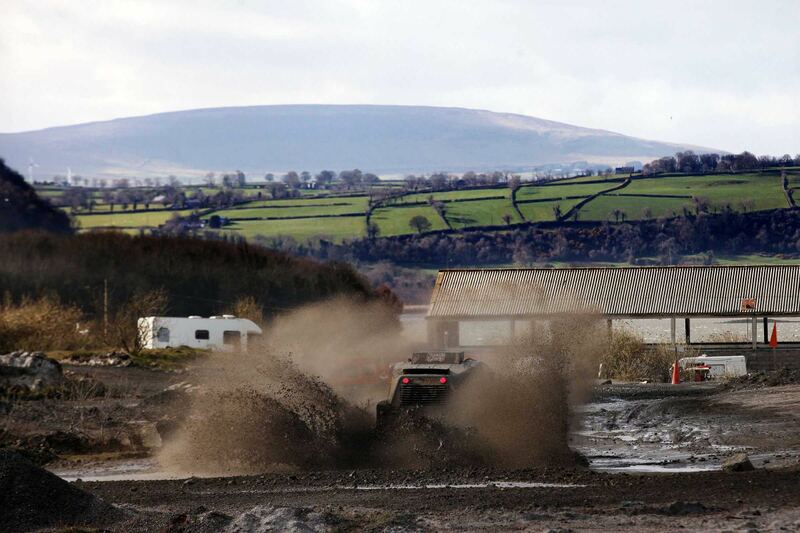 You are at:Home»Off Road»Comp Safari: Muddy Marvellous! 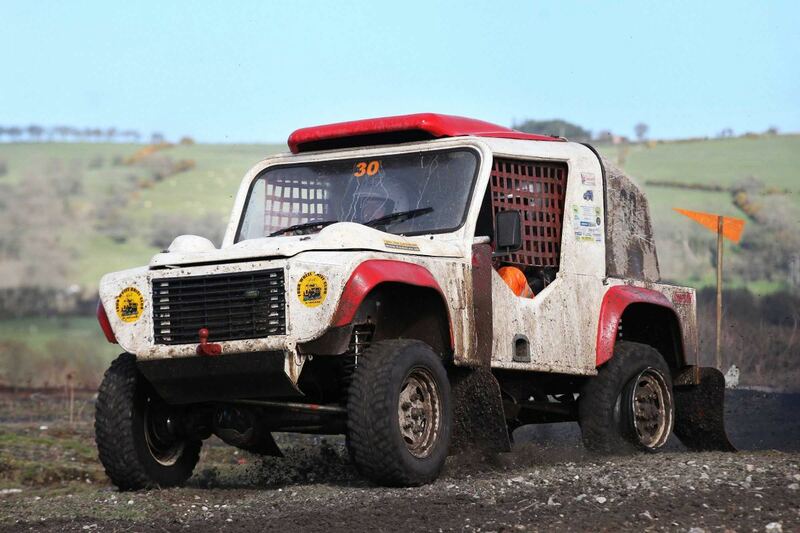 Organised by the Four Wheel Drive Club of Northern Ireland, these ‘Comp Safari’ events take place at single venues across the country. The club recently gained access to an old quarry in Magheramorne for some incredible action on 17 March but what exactly is a Comp Safari? Think gravel! Think water splashes! Think huge jumps! And it’s all in specially modified four-wheel drive vehicles capable of dealing with the off-road terrain! 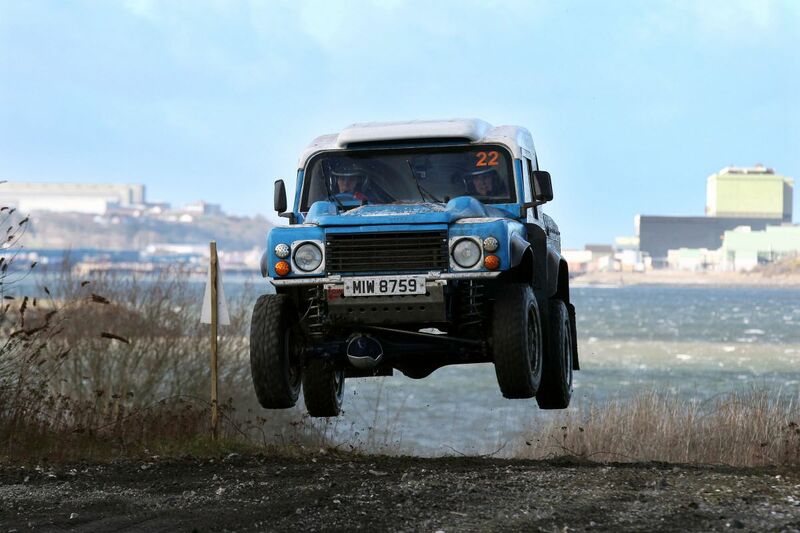 Similar to stage rallying, these events are timed and take place at a single venue on a cross country course which is several miles in length. Each driver sets off at timed intervals and races against the clock, with the aim of being the fastest around the course that is set out using markers such as flags and arrows. There’s a driver and navigator but the navigator’s job can be a little bit different to what you might expect. Whereas navigators in stage rally cars, such as the Circuit of Ireland and Ulster rallies, concentrate on reading pace notes, a navigator in a Comp Safari can find themselves armed with some sort of window wiping device as well as helping to keep the driver on the right track! Why? The nature of these vehicles means it can get very wet and very muddy. Windscreens have a habit of misting up, especially on a wet day, and the screen has to be kept clear to ensure the driver can see where they’re going. It’s teamwork at its best! 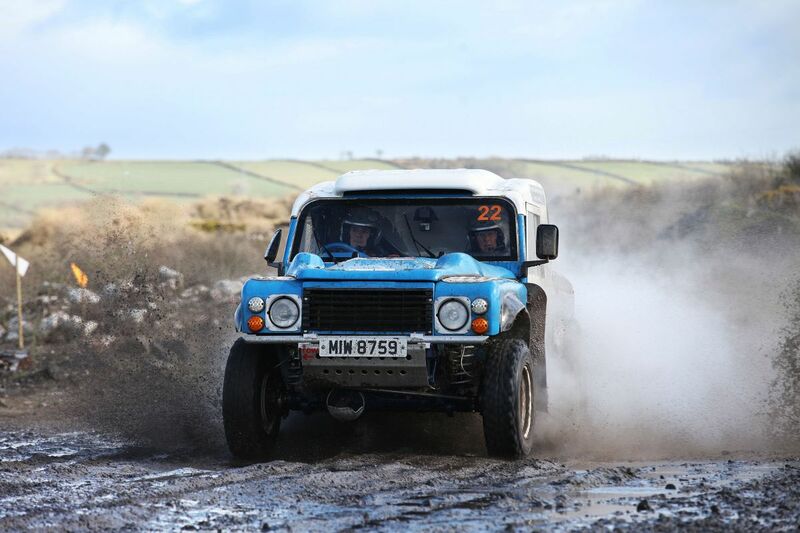 The 17 March event at Magheramorne featured an off-road course of a few miles in length that saw a host of competitors, including some who made the trip from Scotland, complete 12 runs in their powerful machines. It was a mud-splattering fun day with some big watersplashes and even bigger jumps! 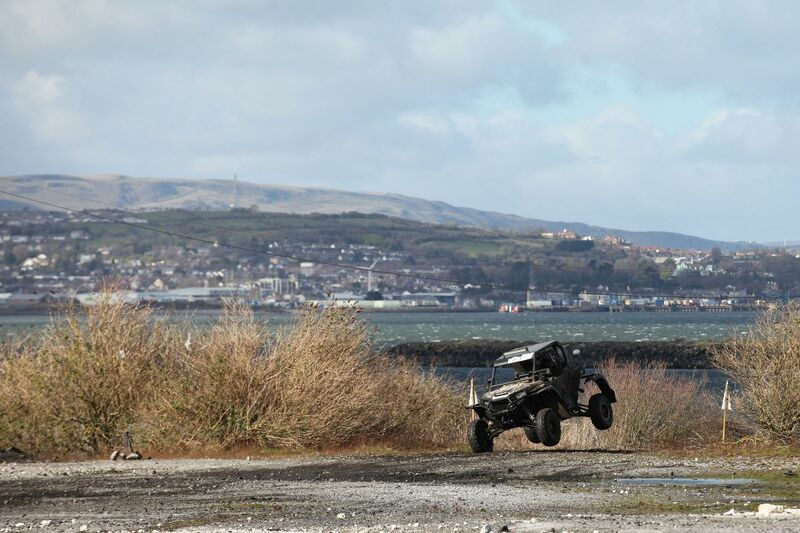 Formed in 1987, the Four Wheel Drive Club of Northern Ireland aims to cater for people who are interested in both four-wheel drive vehicles and off-road driving. 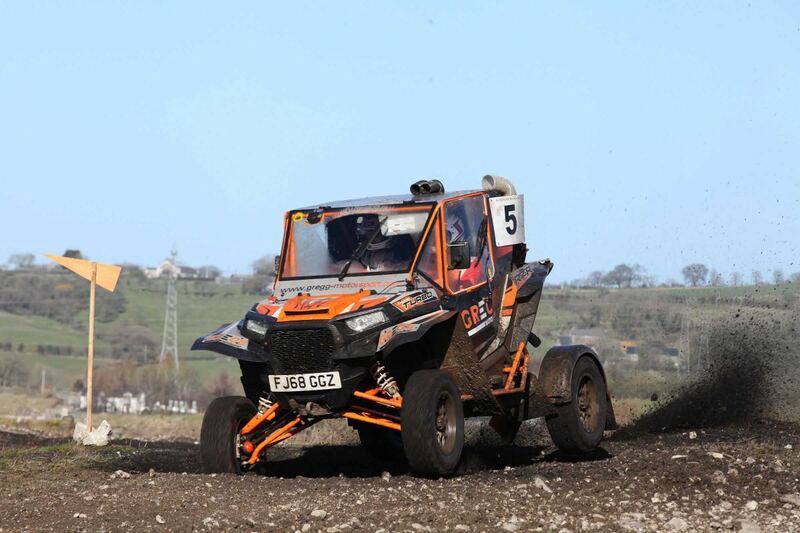 All club members are like minded enthusiasts and they help to bring together four-wheel drive owners and enthusiasts in both social and competitive activities. The majority of the vehicles in the club are Landrovers and Suzukis with a generous mix of Toyotas, Troopers, Discoveries, Shoguns, Range Rovers and even Volkswagen. With a membership of over 100 people of all ages, both male and female, the club promotes competitive and friendly events. Events are not limited to the spectacular Comp Safaris. 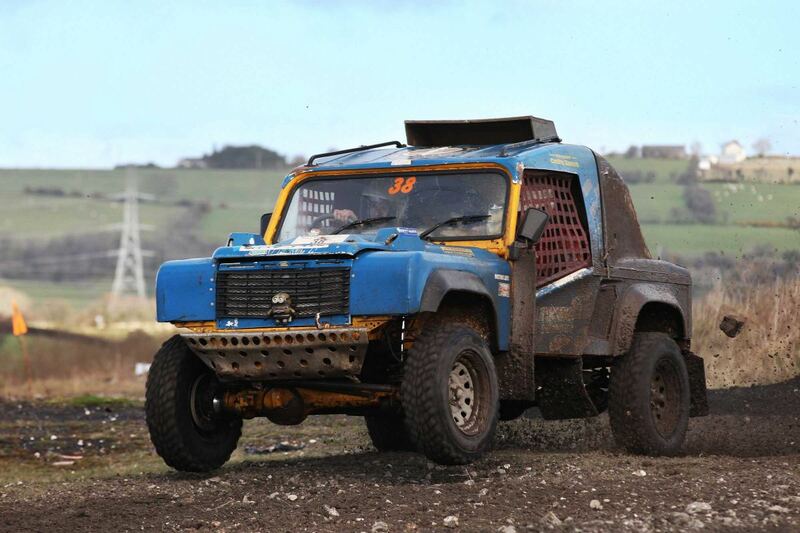 Other types of events are suitable for road-going four-wheel drive vehicles so you don’t need anything special to take part. 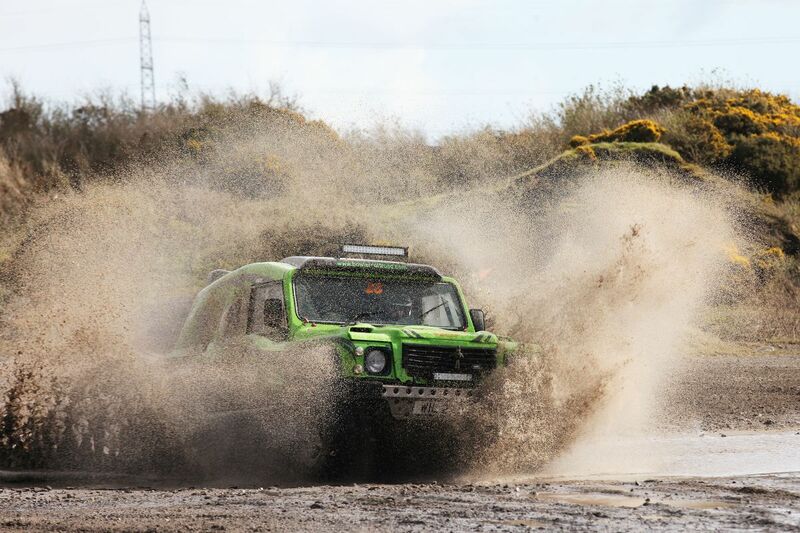 Typical events held include the monthly Cross Country Vehicle Trials and the club allows members to choose the way they want to use their particular 4×4, giving them an opportunity to learn how to handle their vehicle in a challenging and safe environment. On the social side, the club gives members an opportunity to exchange news and share experiences – perhaps regarding their particular vehicle restoration or DIY efforts – within the four-wheel drive scene. 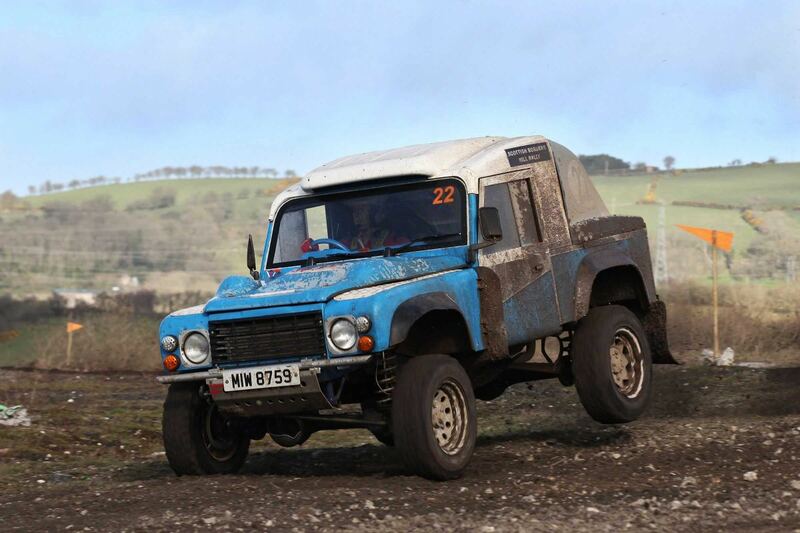 The club also organises plenty of social activities and can advise on parts availability for all makes of four-wheel drive vehicles. Lots of lifelong friendships have been made so if you fancy joining up, log on to their website at www.4wdni.co.uk to find out more. Club membership costs £10 for juniors (aged 13 to 17) and £20 for adults… and your first trial is free. New members are always welcome so get in touch with 4wdni.co.uk now! Motorsport UK 'Go Motorsport' Regional Development Officer for NI, Press Officer for NI Rally Championship and past editor of Pacenotes Rally Magazine. Very good venue, we did a few events with the NI Landrover club there. But is Big Pimp built for it...? ? Those things look like they’re flying around there. Not sure if the LC could get up to those speeds! It’d be fun to try tho! This looks like some craic I have to say. Would a lwb vehicle be any use, or is swb preferable? The pics all seem to show stuff that have a Bowler Wildcat type feel to them. I need to get to one of these for a few images! | This looks like some craic I have to say. Would a lwb vehicle be any use, or is swb preferable? The pics all seem to show stuff that have a Bowler Wildcat type feel to them. They’re all hugely modified and most are Bowlers. It’s not just something to jump in to with any 4x4. The SAE/trials would suit road vehicles or lightly modified at least. | They’re all hugely modified and most are Bowlers. It’s not just something to jump in to with any 4x4. The SAE/trials would suit road vehicles or lightly modified at least. Two Bowlers and the rest were Vitaras, defenders and SJ410's last time I was at one.